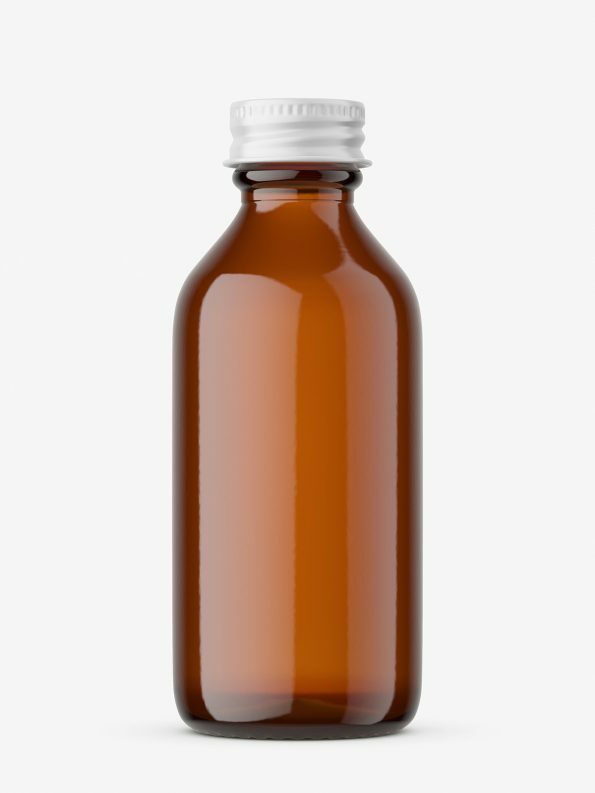 Amber bottle with screw cap mockup prepared in high resolution. 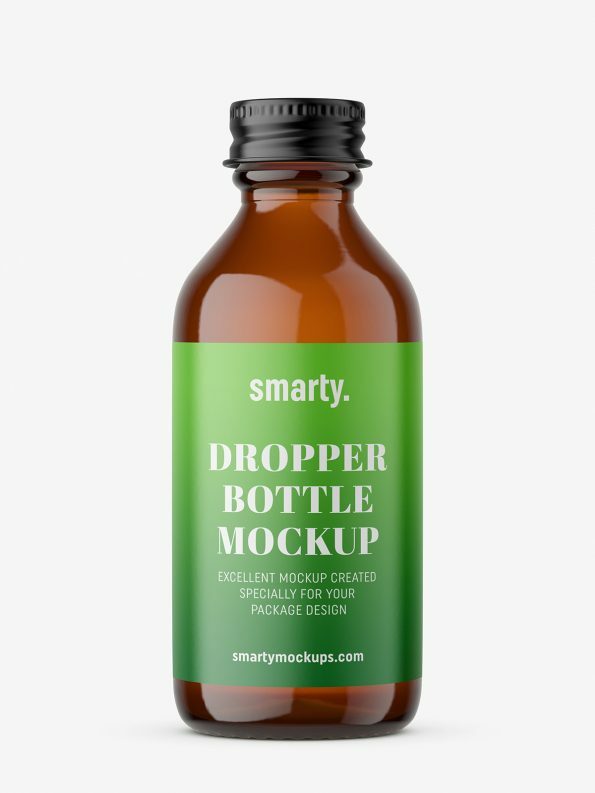 Mockup is easy to use and modify. Label cover entire bottle.